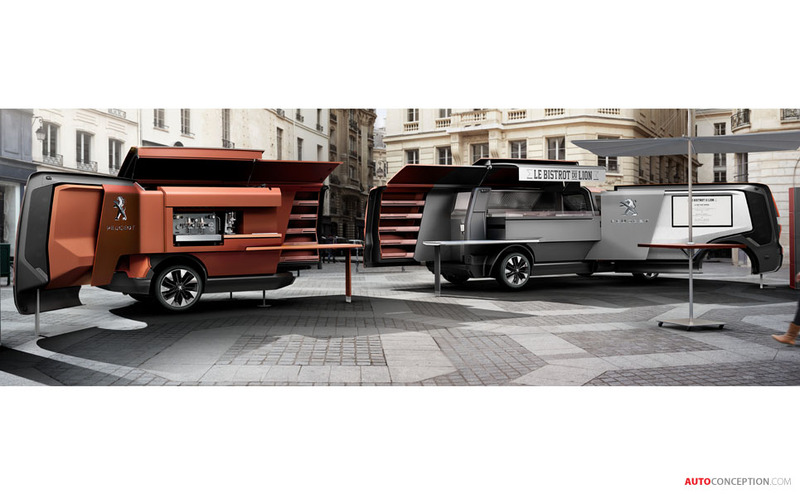 Peugeot has revealed a new ‘food truck’ concept ahead of next week’s Milan Design Week. 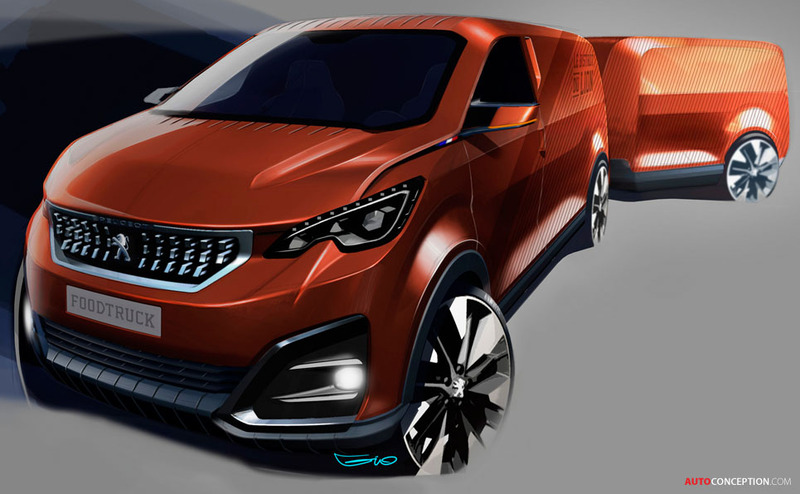 Dubbed ‘Le Bistrot du Lion’, the one-off vehicle has been created by the French carmaker’s industrial design arm, namely, Peugeot Design Lab. 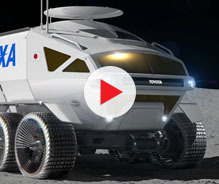 The food truck, once on site, spreads its wings to double its width and is said to be capable of accommodating 30 persons, with separate areas for food preparation, eating and refreshments. 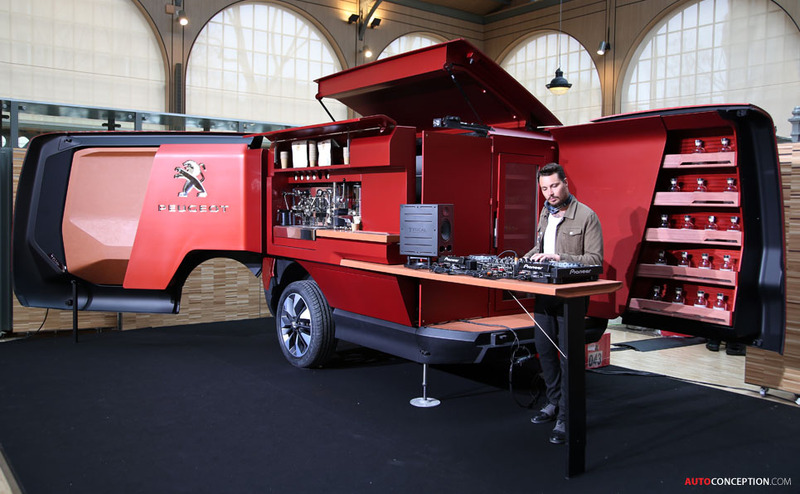 The designers have also incorporated a DJ booth into the design in order to showcase the new digital music platform launched by the brand called PEUGEOT MUSIC. 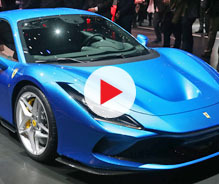 Further entertainment features include a 46-inch screen, a set of 8 FOCAL speakers and 32 tweeters. 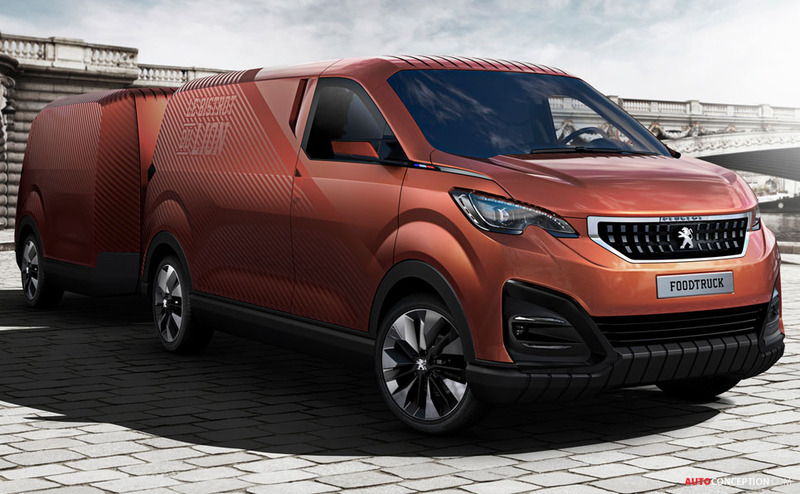 In order to ensure the truck is fully functional and in compliance with relevant food hygiene regulations, Peugeot Design Lab says it worked with French food truck specialist Euromag. As a result, chefs benefit from two grilling plates and four induction burners as well as a deep fryer. 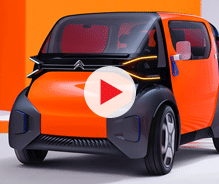 The addition of a ventilation system helps improve air quality, while a 400-litre refrigerated under-foot compartment allows food to stay fresh. 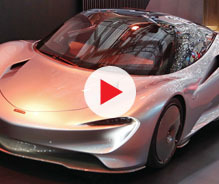 An additional 350-litre refrigerator keeps drinks cold. 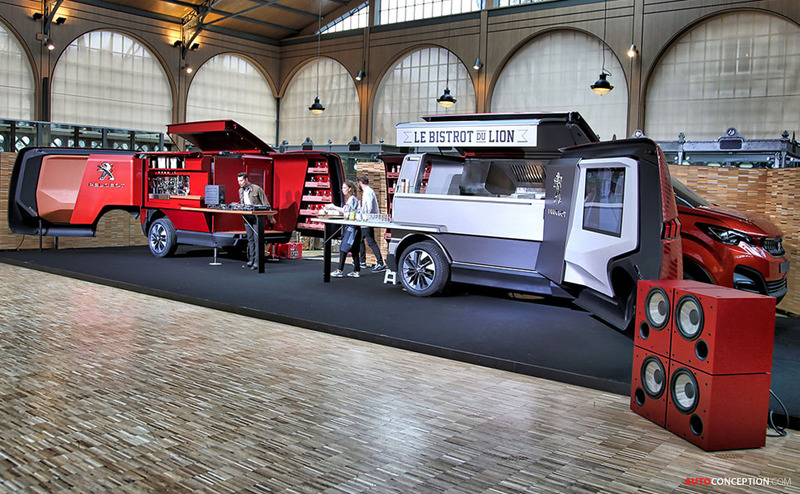 “We wanted to create a complete mobile cuisine experience, not only creating a kitchen for the chef but a restaurant and cafe for the customers. A lot of attention was given to opening up the kitchen and allowing the chef and food preparation to be as close to the public as possible. 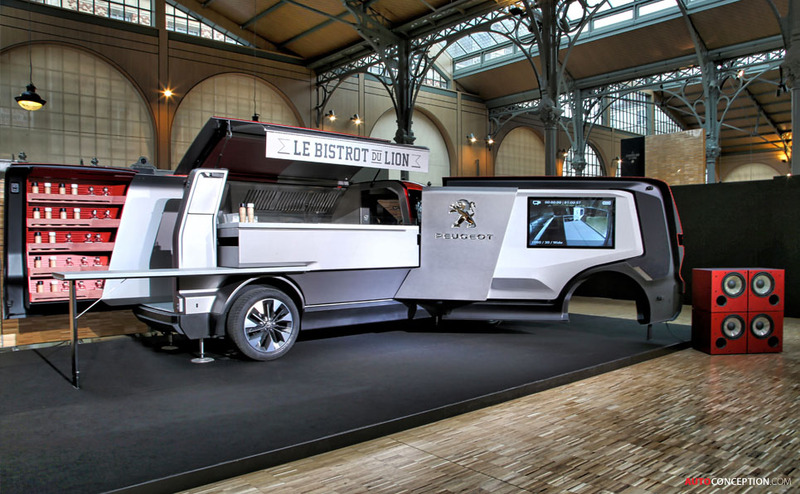 We also wanted to create a real sense of surprise as the compact Peugeot ‘food truck’ transforms into an amphitheatre-like dining space ‘Le Bistrot du Lion’,” says head of Peugeot Design Lab, Cathal Loughnane. 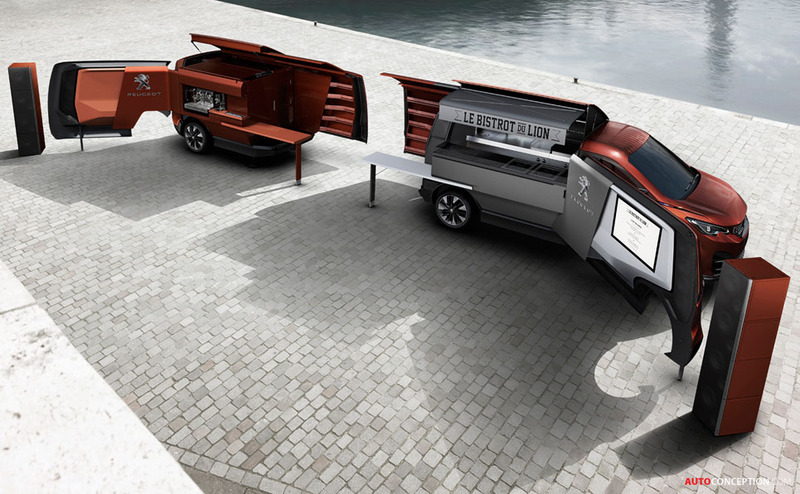 Following its appearance at the Milan Design Week, the truck will head to the French Pavilion at the 2015 World’s Fair, Expo Milano, where the theme will be ‘Feeding the Planet, Energy for Life’.